For many people, “bankruptcy” is a bad word. It often has connotations of failure or an inability to control one’s own financial habits. These connotations are untrue and harmful – individuals and companies use bankruptcy as a tool to manage their outstanding debt for many different reasons. More often than not, the circumstances that lead to bankruptcy are beyond the filer’s control, such as catastrophic health care costs.. But the negative stereotype that many have about bankruptcy may keep deserving people from seeking the relief they are entitled to. If you are only able to make the minimum payments on your debts and you find yourself watching your debts increase or remain stagnant despite these payments, it might be time to file for bankruptcy. If you are receiving phone calls and letters from creditors on a daily basis, demanding repayment, bankruptcy might be the right choice for you. If you cannot realistically see yourself eliminating your debt through your own repayment efforts, consider filing for bankruptcy. In order to determine if bankruptcy is the right choice for your case, you need to have a complete grasp on your financial situation. Look at not only the income you take home and the payments you make each month, but also how you are spending your income. With a realignment of your spending and saving habits combined with an aggressive repayment plan, you could be able to get yourself out of debt without having to file for bankruptcy. A good way to know if bankruptcy is the right choice for you is to learn about the various types of bankruptcy and determine which, if any, are suited to your situation. Chapter 13 and Chapter 7 are the two chapters meant for individuals with personal debt. If you do choose to file for bankruptcy, you will need to complete a credit counseling course no more than 180 days before you file. 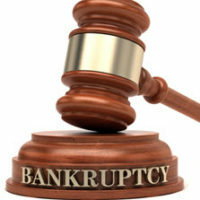 If you are not sure whether you will file for bankruptcy, talk to a Bankruptcy lawyer who is reputable. Most bankruptcy attorneys charge little or no fee for a consultation. The attorneys at Goodblatt.Leo charge no fee for a ½ hour consultation to determine if bankruptcy is the best choice for you. Through your consultation, you will learn more about credit, debt, and bankruptcy without having to commit to filing for bankruptcy. 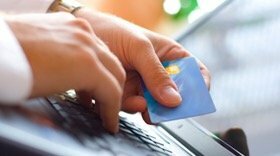 If you do choose to file for bankruptcy, you will have your first requirement for the process completed. If not, you will still have the valuable information you learned from the session. If you are not sure if you are in the right position to file for bankruptcy, discuss your case with an experienced Orlando bankruptcy lawyer. Contact our team at the office of Goodblatt · Leo today to set up your initial consultation with us, during which we can assess your case and determine your options. Bankruptcy may be an option for you, but that does not necessarily mean it is your best option. We will help you make that determination.